Moms are probably the hardest-working people in the world. Many of them hold down full-time jobs on top of another way-more-important job: Raising human beings. That’s why you should go out of your way to treat mom like royalty on Mother’s Day. Every. Single. Year. But what if you don’t have a whole lot of cash? You can still put together unique Mother’s Day gifts that’ll let her know how much you appreciate all she does. Here are 10 ways to do it. Classic, right? There’s nothing quite as luxurious as waking up to a fresh breakfast you don’t even have to get out of bed for. But if you have basic ingredients in your home, you can do it without spending anything… and even if you do have to make a supermarket run, eggs are pretty darn cheap. Make it extra indulgent by paying attention to detail: Fold the napkin nicely, and garnish the meal with a splayed strawberry or orange slice. Make a creative meal she hasn’t had before — it doesn’t have to be difficult to be new! Here’s a five-ingredient recipe that looks scrumptious and easy to make. And one more thing? Make sure you only fill her coffee and orange juice halfway. Waking up to coffee burns is no one’s idea of a great gift. Just make sure you bring the rest of the pot along, too. This idea is one of the more creative Mother’s Day gift ideas, and comes from TPH Senior Editor Heather van der Hoop — or, more accurately, her mother. One Mother’s Day, her mom asked her children to write down just one thing they’d learned from her. “That email chain got really mushy, really quickly,” van der Hoop said. Make this gift even more of a tearjerker by presenting it in a beautiful, handwritten card. You can stick with just one important life lesson, or make a whole list. If taking mom out to Sunday brunch or dinner at her favorite restaurant is too pricy an option, consider preparing her favorite meal — or some doable facsimile — yourself. Want bonus points? Make it with her. Even if it’s something new and complex, you’ll have a blast laughing at your clumsiness together in the kitchen… and eating the result, even if it’s not Pinterest-ready. There’s absolutely no reason to pay for overpriced delivery flowers when you can probably walk outside your door and find something beautiful to gather. Just make sure you don’t grab anything poisonous, or to which mom might be allergic. Plus, no matter how aesthetically pleasing or sweet, those professional bouquets and greeting cards were put together by hands who know nothing about your mom. Take advantage of your opportunity to personalize your gift, and to put in the time and effort that make it more than just a decoration. Yep, the whole thing. Heaven knows mom’s probably done it thousands of times. Heck, you could even give her the gift of cleaning the house, say, once a month for a year. It’ll make her feel awesome — and it still won’t even come close to how many times she’s done it. Remember when mom used to pin your crayon drawings up on the refrigerator? Take advantage of your talents and make something she’ll cherish for years to come. If you can’t draw, maybe your way with words would make for a beautiful poem. Who knows? It may just end up on the refrigerator alongside your shoddily drawn Kindergarten efforts she still loves so much. Even if you don’t have $100 or more to blow at a fancy salon, pampering mom is a great way to show her how much you care. Paint each other’s toenails or give one another a spiffy new hairdo. You can even try out some of these great DIY facials and scrubs to get even more luxurious and indulgent. Do you know what your mom’s favorite film is? You should. But if you don’t, find out — and then spend an evening watching it with her. Provide popcorn, candy and wine. Definitely wine. You could even binge a few episodes of that favorite show you always chat about on your weekly calls. Is your mom less about sitting back and watching a film and more about getting in the game? Grab her favorite board game, and maybe a few neither of you have tried, and set up a family game night — or gather around a chessboard, just the two of you. Either way, you’ll spend an evening chatting and laughing. This is my very favorite option on the list. Grab those dusty albums and take a walk down memory lane. Just don’t say I didn’t warn you: Make sure you have some tissues handy. It turns out money-free, unique Mother’s Day gifts might just be better than the uninspired chocolate and flowers you might go for otherwise. They’re creative and thoughtful. Best of all? They’re all about spending time together. That’s probably what mom really wants this year, anyway. 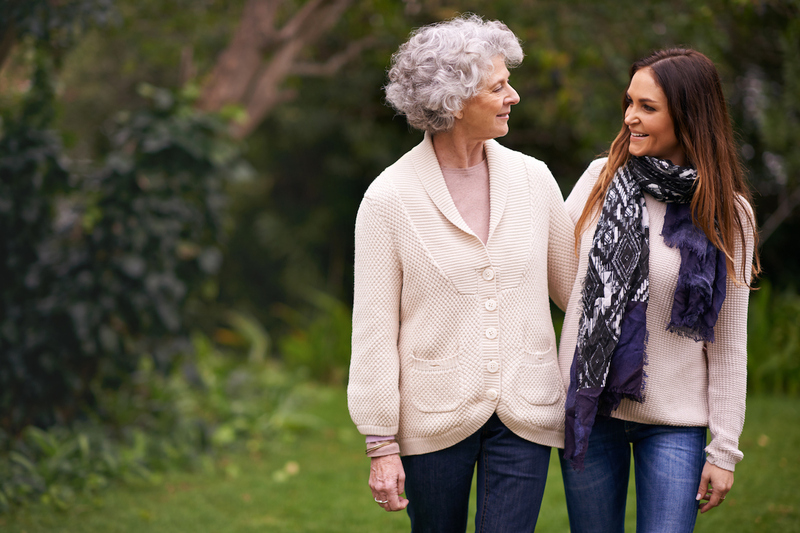 Your Turn: What are you doing for your mom this Mother’s Day? If you’re a mom, what’s the best money-free Mother’s Day gift you’ve ever received? Jamie Cattanach also writes creative nonfiction and poetry, some of which has been featured in “DMQ Review,” “Sweet: A Literary Confection” and elsewhere. You can follow along at jamiecattanach.com.